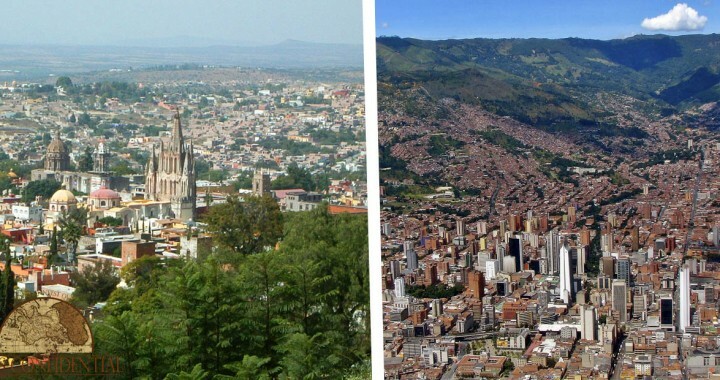 Hard to believe that, at 3.5 million, Medellín’s population is more than twice that of Panama City. And still, Colombia’s second-largest city is not fighting to keep the pace and compete in the same global leagues that Panama City chases 24/7. The people here live to a different, more relaxed, beat. And, it’s all part of the charm. Had Medellín been my first stop after leaving Paris behind last year, I may have been in for a less dramatic dose of culture shock. There’s a distinct European air about town… from the way the paisas dress to how they greet you as they pass by on the street… to the winding streets and Spanish colonial buildings (in varying states of repair). Stepping over an international border, even from Latin American neighbor to Latin American neighbor, can be like entering a whole new world. And, right now, Medellín is a very appealing part of the world to be. Latin America Correspondent Lee Harrison—and one of our emcees for the event—reminded attendees of the unrivalled opportunity open to them here. And, Lee, who lived in Ecuador, Uruguay, and Brazil before settling here in the “City of Flowers,” knows an opportunity when he sees it. We’ll be back in Medellín next year, of course. But, if you’d like to get the full story on Colombia’s opportunities—before the peso moves again—you can listen in on everything we discussed last week here. And, speaking of neighboring borders, I’m excited to tell you that we’re coming close to opening up registration for our Live and Invest in Mexico Conference. Mexico is, of course, your closest “retire-overseas” option. If you prefer to be near home—whether for kids and grandkids, aging parents, business reasons, or just pure peace of mind—it’s a no-brainer. Still, that’s selling “closer-than-ever” Mexico short. Apart from the convenience of being able to drive all the way down (should you wish), Mexico has lifestyle options to suit every taste—from golden Pacific beaches to colonial hilltowns to miles of white-sand Caribbean coast. And, today’s exchange rate helps make them all a bargain. You can set up home in some of Mexico’s best-loved cities—like San Miguel de Allende—for around US$1,300 a month. But, if you’d prefer fewer expats and a more traditional setting, you can do even better. In the beautiful colonial city of Guanajuato, for example, the cost of living comes in at just US$985 per month. I’ll have more details for you when we open registration in the next couple of weeks. If you haven’t already done so, add your name to our Mexico First-Alert List, to be in line for first dibs on a VIP seat. Posted in Live And Invest Overseas Confidential and tagged Life In Medellín, Life In Mexico.